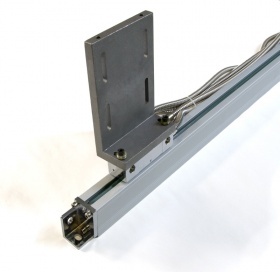 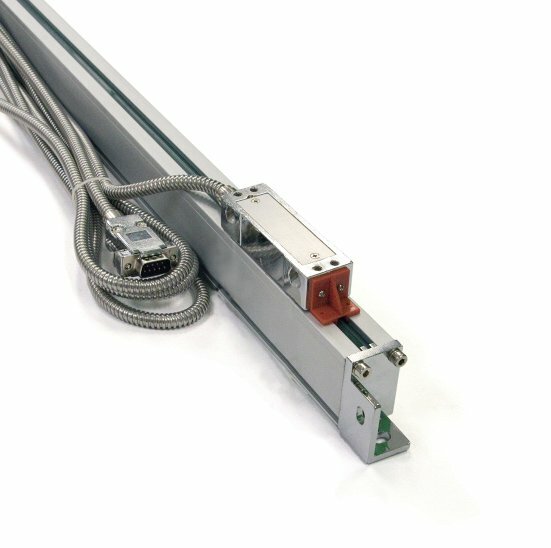 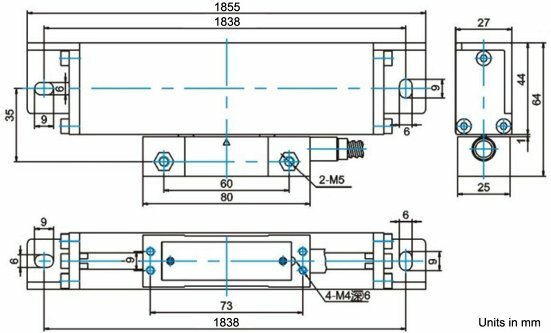 This linear encoder converts movement along it's 1700mm of travel into a quadrature signal that is readable by any of our encoder interfaces. 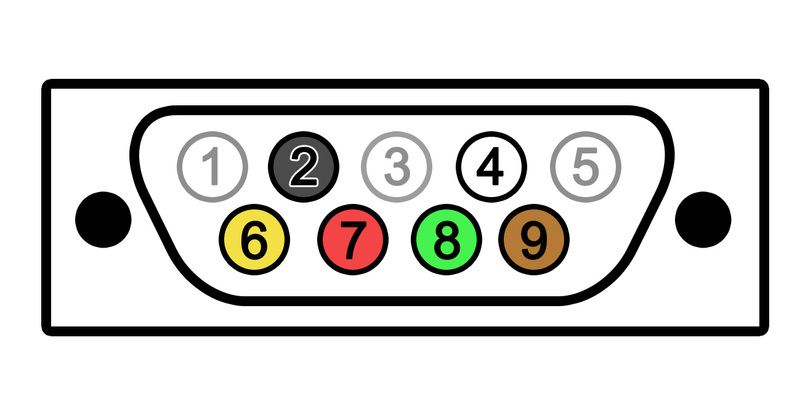 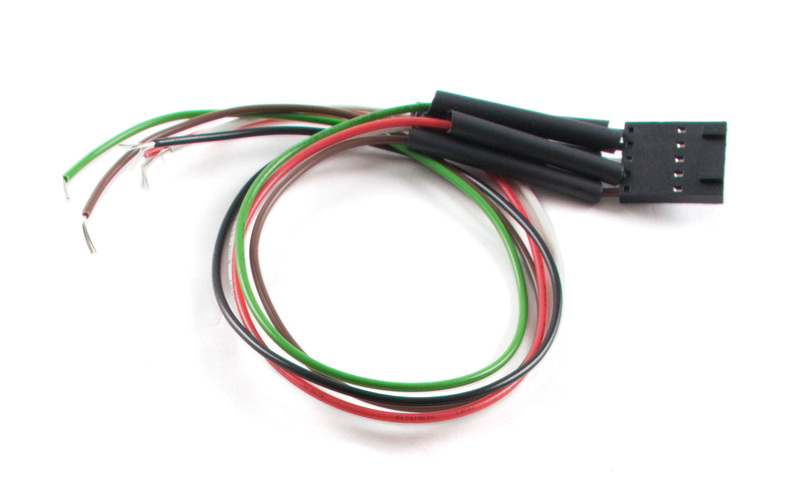 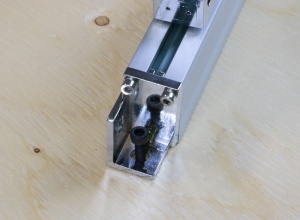 It has an index channel that triggers in several places along the length of the encoder to aid in startup calibration. 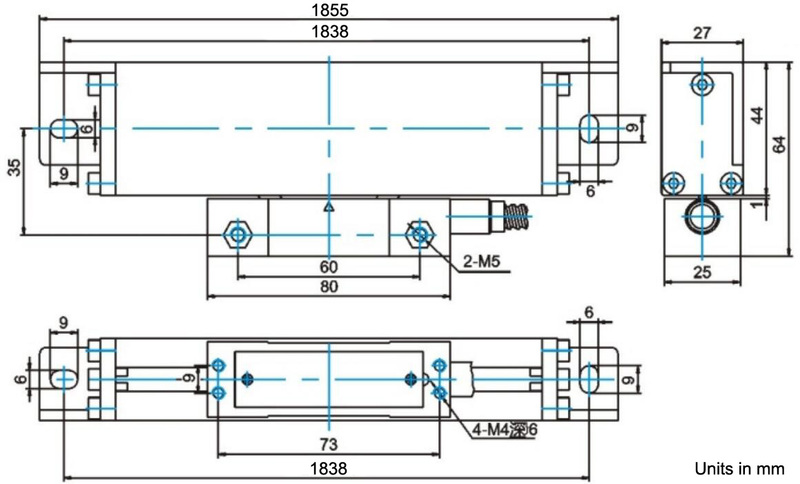 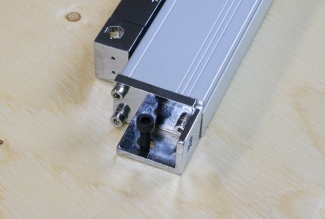 When mounting the encoder to a surface, you should take great care in making sure that it lies completely flat and parallel to the moving part it'll be measuring. 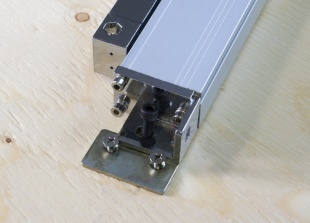 Any small misalignment can cause inaccuracy in the measurement and strain on the mechanical parts. 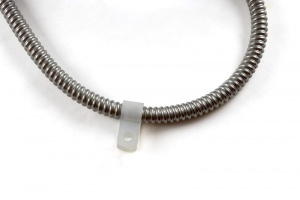 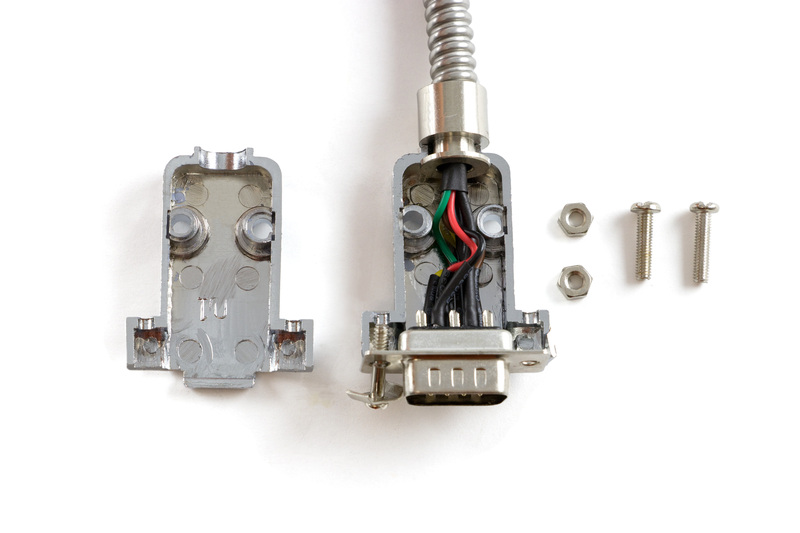 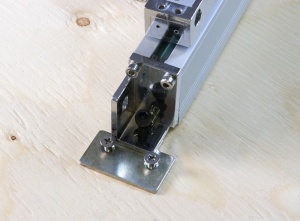 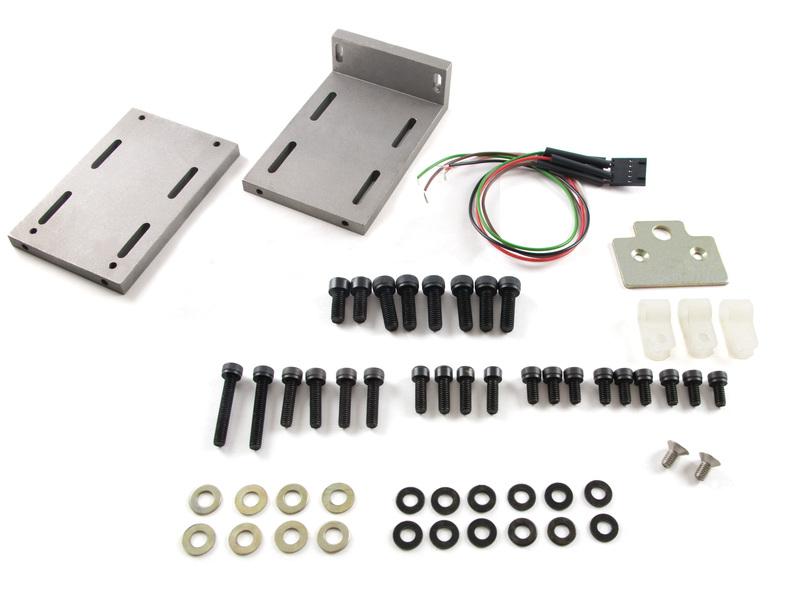 A thin mounting plate and two flathead screws are included for more secure mounting to the surface. 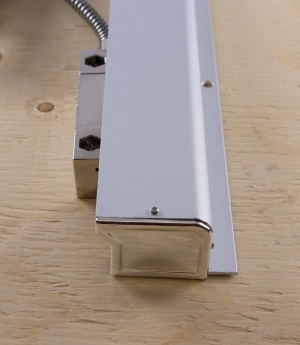 You can also mount these plates on the side of the carriage using the bolts, although you may need longer bolts than the ones included for some configurations.